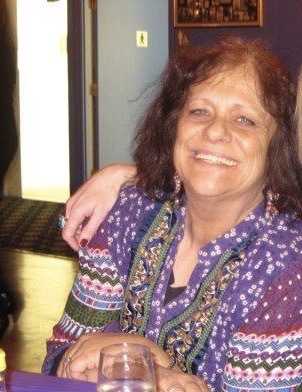 Robin Linnea Liakos, 61, of Wolfeboro, NH passes away Friday, September 7, 2018 at her home in Wolfeboro. She was born in Arlington, MA the daughter of the late James P. and Nancy (Kant) Liakos. Robin spent her early years in Peabody, MA, where she graduated from Peabody Veterans Memorial High School. After the death of her father, she moved with her mother to New Hampshire where she spent her remaining years. Robin worked for many years at the Alternative Life Center in Wolfeboro and North Conway, NH. Robin was an excellent cook who prepared and served many holiday meals for the people at the Center. In her role as Outreach Coordinator she positively impacted the lives of many in the NH mental health community. Robin was a lifelong learner; having earned an Associate’s Degree at Essex Agricultural School and later in life earned her Bachelor’s Degree in Human Services through the University of New Hampshire. Friends and family will remember Robin for her intelligence, generosity, compassion, humor and creativity. Most of all, they will admire her courage in a lifelong struggle with her own disabilities. She faced every day with hope and a boundless capacity to love and help others suffering, illness and pain. Her love for her friends and family rivaled her love for the many animals she adopted throughout her life. She will be missed dearly by her sister Lizabeth and her husband William Hoyt, Exeter, NH; her brothers Mitchell Liakos and his wife Melissa Buckmaster Liakos, Oakton, VA; Daniel Liakos, Newfield, ME; Gregory Liakos and his wife Kathleen McNamara Liakos, Wakefield, MA; Jonathan Liakos and his wife Melissa Ito Liakos, Helena, MT and many nieces, nephews, aunts and loving and loyal friends. A time of visitation will be held at Lord Funeral Home, Wolfeboro, NH on Saturday September 29, 2018 from 2-4pm. A Memorial service will be held at 4:00pm at the funeral home. A gathering of friends and family will follow at the Wolfeboro Inn, North Main Street, Wolfeboro, NH. Donations in her memory may be made to the Lakes Region Humane Society, PO Box 655, Ossipee, NH 03864.